If you are considering opening a new IRA or Roth IRA or another retirement account, you are taking a significant step toward saving for a financially secure retirement. But as with any long-term investing initiative, there are some critical questions to ask before you open a new retirement account. Getting the answers to these questions can help save you money, avoid potential tax pitfalls, and ensure the underlying investments you choose are the right ones for you. 1. How Much Does It Cost to Open and Maintain This Account? Some costs are associated with opening and maintaining a retirement account. 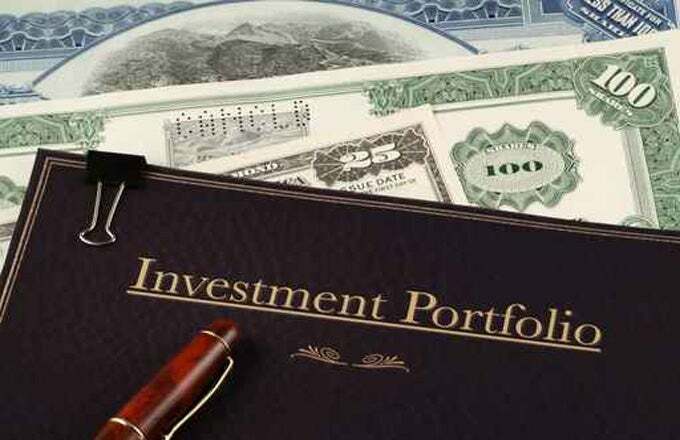 They can include a financial advisor’s compensation, if you are using one; administrative fees charged by the custodian, such as the bank, mutual fund company or brokerage firm with whom you are placing the account; and the cost of any underlying investments such as trading costs or the expense ratio of a mutual fund. While a good financial advisor’s counsel can be very helpful, you need to understand how and how much an advisor gets paid for that counsel. Financial advisors are typically paid through a wrap fee, an annualized fee based on the total assets you invested with that advisor, or with up-front and/or ongoing commissions. Custodial fees vary by firm but are usually nominal, such as under $100 per year; however, they can be higher for lower-balance accounts. Make sure you understand the fees associated with the underlying investments you choose. If you invest in individual stocks and bonds, you pay a commission when you buy and sell; how much depends on whether you use a full-service broker or a discount broker, and the amount of the trade. If investing in mutual funds, keep an eye on a fund’s expense ratio—the annualized, asset-based fee all investment managers charge their mutual fund investors. Expense ratios for actively managed funds vary widely among fund families and are a function of an individual fund’s asset class and style. Stock funds, for example, are more expensive than bond funds, and an emerging-market stock fund typically costs more than a domestic stock fund. Passive strategies, such as index funds, are the least expensive options. Note that the new fiduciary rule would have banned advisors who handle retirement accounts from choosing investment products for those accounts that provide them fat fees that are not in the best interests of the client. Even though, as of June 2018, the rule has been effectively killed, you can still ask detailed questions to ensure that the advisor you choose is, in fact, a fiduciary and holds to that standard. 2. Which Investments Are Appropriate for My Retirement Account? Make sure you fully understand the underlying investments in your retirement account. Are they individual stocks/bonds or mutual funds? Do they represent a conservative or aggressive investment posture? Taken together, do they reflect a sufficiently diversified portfolio? Also, since a retirement account is already tax-advantaged, you don’t need to fill it with tax-advantaged investments such as municipal bonds. Save those investments for your regular investment account, the one on which you owe capital gains when you make money. 3. Can I Withdraw Money from This Account While I Am Still Working? When it comes to withdrawing money from a retirement account, you need to understand the IRS rules and any fees you might have to pay to exit your underlying investments. The rules are different depending on which type of IRA you have. IRS rules allow you to withdraw money at any time from your regular IRA; the catch is you have to pay taxes on the money withdrawn because you used pre-tax dollars to fund the account. The amount you take out gets added to your ordinary income for the year in which you take the withdrawal. What’s more, you are under age 59½, your withdrawal may be subject to a 10% tax penalty unless you meet some limited exceptions. You can withdraw just the money you contributed (not any income that money may have earned) from your Roth IRA at will. For details, see How to Use Your Roth IRA as an Emergency Fund. As long as you don’t withdraw earnings (only contributions), you will not be subject to a 10% tax penalty. 4. Do I Have to Withdraw All My Money from My IRA After I Retire? Beginning at age 70½, you must begin taking required minimum distributions (RMD) from your regular IRA account; this is not required for Roth IRAs. The amount of your annual RMD is “calculated by taking your ending balance from the prior year and dividing it by the life expectancy table provided by the IRS,” says Amy Irvine, CFP®, principal, Irvine Wealth Planning Strategies in Corning, N.Y. “This is a great worksheet,” she adds. Failure to take required minimum distributions can result in significant monetary penalties. You can always withdraw more than the minimum required amount at any time. 5. How Much Can I Contribute Each Year to an IRA Account? All retirement accounts have annual contribution caps that are periodically adjusted upward for the cost of living. In 2018, the contribution limit for a regular IRA is $5,500 if you are under age 50 and $6,500 if you are 50 or older. Roth IRAs work a little differently; your ability to make the maximum contribution is based on your tax filing status and your modified adjusted gross income (MAGI). As your MAGI goes up, your contribution can be reduced and ultimately phased out. Be sure you are satisfied with the answers you have gathered to these questions as you move forward with your retirement accounts. Doing so can help save you money, avoid potential tax problems and ensure the investments you choose are the right ones for you. Next articleTron, Augur Surge 5% Ahead of Upgrades, $5,800 Imminent For Bitcoin? You’ve Raised Early-Stage Funding! Now What?